Every other Wednesday, Danielle from Whimsical Fabrics puts a bundle of fabrics on sale in her group for a special price. I have been purchasing mine ahead of time. We have had a blast picking out patterns and brainstorming what can be done with these bundles. 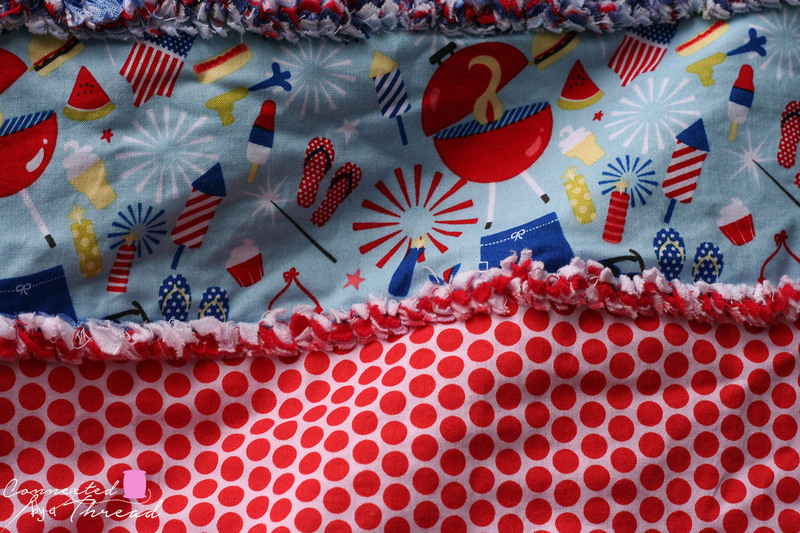 This weeks is Summer Celebration Patriotic by Riley Blake. It just screams summer! 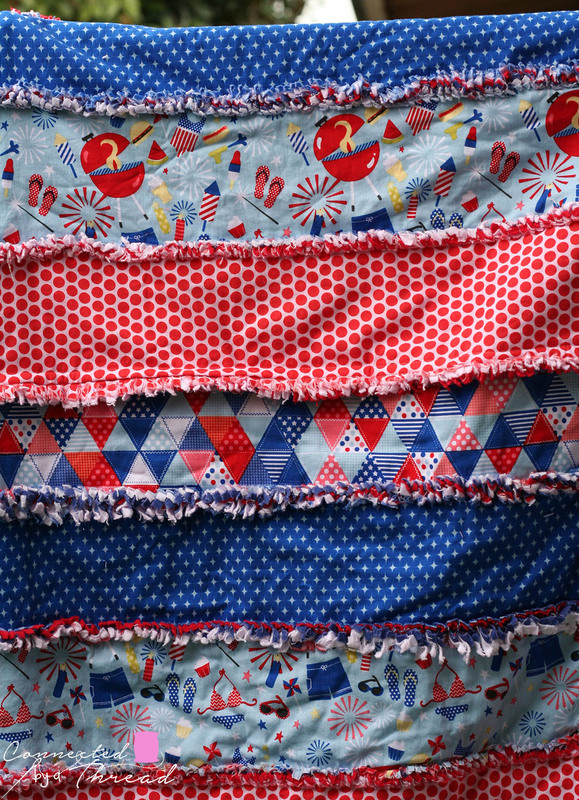 I decided that I would make a rag quilt with this bundle. It will be perfect for music in the park this summer, taking to the beach, and even to the theme/water parks to wrap up in at the end of the day! 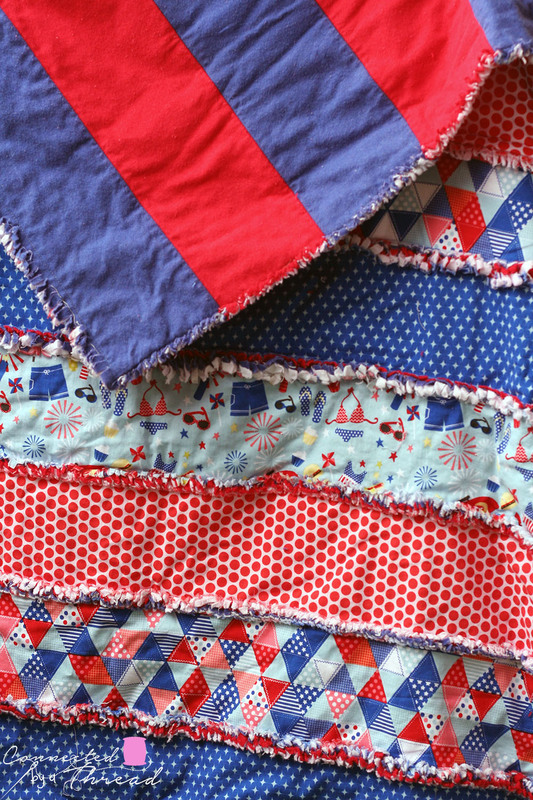 I used the Strip rag quilt by A Vision to Remember as my base. It is a free pattern on her blog. I only used 4 fabrics rather than 7, and I added 2 extra strips to the length to get 4 strips of each fabric. I put the inner layer of flannel in this one for added warmth and alternated red and blue flannel for the back. 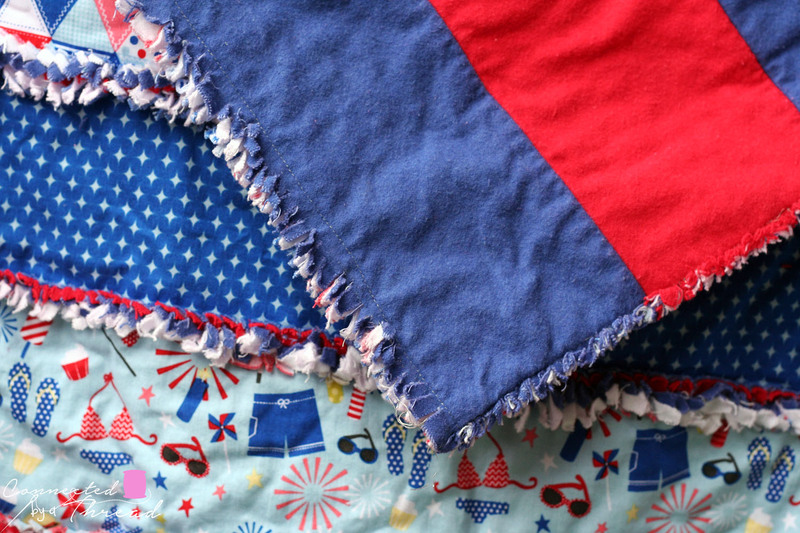 As I was sewing this up (a total of 4 hours from cutting to snipping), my 2 year old got very excited and ask if I was making him a new blanket, so I know this will get plenty of use this summer! 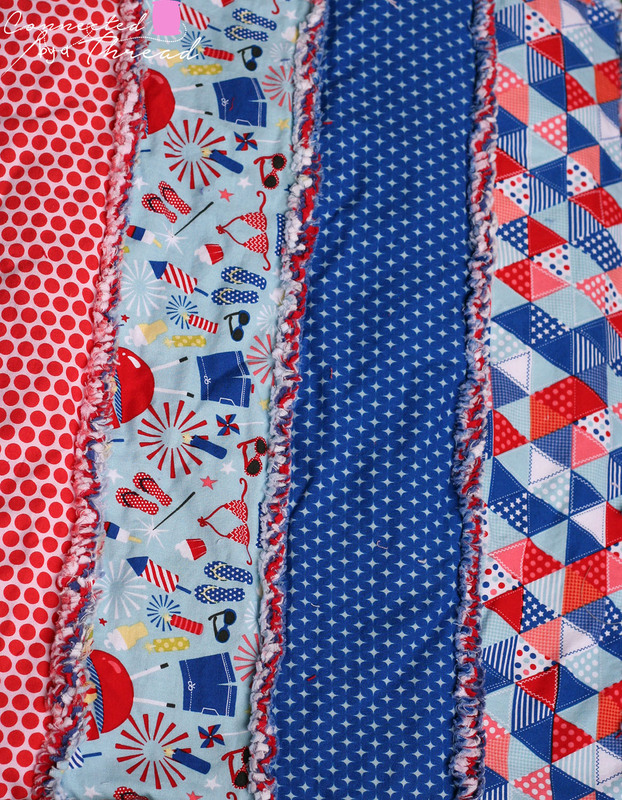 You will receive each of these 4 fabrics in your bundle. 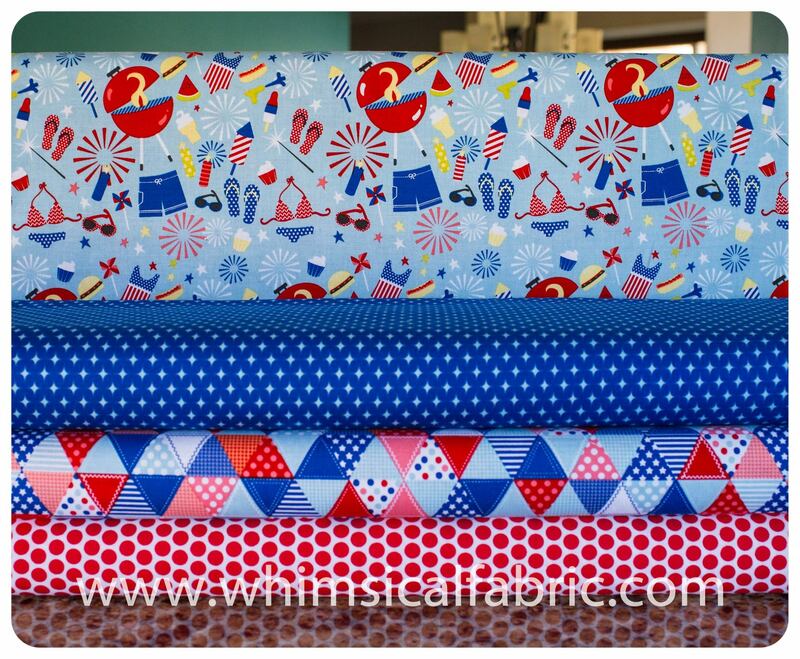 Check out whimsical fabric to see her selection of in stock fabric! Be sure to come back and let me know what you plan to make with yours!